Somewhere within the first decade of our marriage, my husband and I began to notice a disturbing trend: marriages dissolving all around us. In the church we attended at that time, three couples went their separate ways in a single year. They were active, visible members — regular attenders. We looked at each other, both deer in the headlights and knew, deep in our bones: This could happen to us, too. Shauna Shanks writes about marriage from the trenches, and A Fierce Love is a manual for marriage preservation in the wake of unfaithfulness, betrayal, and emotional abandonment, for Shauna has invited readers to witness the anguish of the days, weeks, and months that followed her husband Micah’s announcement that he wanted a divorce. The book is a record of her resolve to fight for her marriage, even though Micah gave her absolutely no hope for reconciliation. God directed Shauna’s thoughts to I Corinthians 13, the love chapter, and she made a decision that her love would not be based on mere feelings. Rather than reading Paul’s words as lovely sentiment or tired poetry, for Shauna, they became a call to a fierce love — a battle cry based on the truth and a posture of grace and restraint. Instead of remorse over his sin, Micah communicated only rejection. If the marriage was to be saved, the ball was entirely in Shauna’s court, so she employed the truths of I Corinthians 13 as her Love Filter. Responding in kindness, patience, and hope while rejecting rudeness, pride, and jealousy, she was free to persevere because I Corinthians 13 love never fails. Shauna is very quick to say that not everyone will be called to fight as she did, and not every marriage on a broken planet is salvageable. However, her specific calling was to hang in there, to speak only to a few very close friends about her plight, and to expend all her energy in the direction of preserving that relationship. So completely was the Shanks’s marriage transformed, Shauna speaks of their first ten years pre-crisis as their “first marriage” (even though there was no legal breach) and the time since the reconciliation as the “second marriage.” The challenge facing you and me today, then, is to reject a “first marriage” mindset and to fight each day for that “second-marriage”-level of commitment to self-giving as a rescue for a failing marriage — or as a safe guard to an already stable and healthy marriage. 2. Find “Aaron and Hur” caliber support. Shauna was not being abused or endangered, so she does not intend for her practice to be prescriptive for those who are in an abusive relationships. This is an important distinction given the tendency of abuse victims to hide unhealthy relationships out of shame or fear. With that firmly established, in a culture in which husband-bashing has become acceptable even in Christian circles, there’s a place for respectful silence about our spouse’s shortcomings as well as an honoring curtain of privacy sheltering a marriage relationship. 3. Refuse to receive the damaging effects of a wayward spouse’s rejection. Shauna clung to the truth that God had already set a high value upon her, and this guarded her heart from dwelling on negative thoughts and helped to pull her out of depression and despair. “The Bible instructs us to take our thoughts captive. We act as though we have no control over our thoughts . . . as if once they pop into our heads, we have to let them live there. If two people are determined to seek God faithfully, their marriage relationship will be impacted as well. Before working on her marriage, Shauna focused on her relationship with God and, mercifully, Micah’s heart for Shauna changed after his heart warmed once again to his Lord. There’s a prideful rising up of the spirit that is death to relationships because it rejects the gracious offering of forgiveness. Shauna found that one of the obstacles to reconciliation was that, although she was willing to extend grace to Micah in a supernatural way — he had to become willing to receive it. From a dark and oppressive place, Shauna trusted for grace, and God met her there. No matter what the state of your marriage (or even if you are single) there is merit in being reminded that when God becomes involved in the process of restoration, He does not merely patch us up or send us backward into a former thing. God’s work of redemption restores forward into a brand new and beautiful thing that only He can accomplish. Jamie Ivey interviewed Shauna on Episode #153 of The Happy Hour Podcast. Together, they talk about life and Shauna’s book — and the house the Shanks family is building together out of shipping containers. Click here to listen. My friend Crystal Storms blogs about marriage and recently shared A Prayer for the Wife Feeling Abandoned. She has experienced the heartbreak of a husband pulling away, and describes the distance between them in that season as “a wall of insurmountable heights.” Click here for encouragement from Crystal’s heart. Some mornings the new mercy arrives at 4 a.m., looking like a slice of lemon yellow sunrise behind ragged lavender clouds. My early morning drive to the hospital sent me due east. Not knowing what I would find there, I thanked God for the mercy of ambulances and strong men who lift gently and answer questions with thorough patience. When I arrived, I thanked Him for a thoughtful son who showed up unexpectedly and stood in a cramped, curtained room waiting for inconclusive test results. There were no windows in this meeting place to announce daylight’s arrival, but this one thing I know: by the time the coastal mist had burned off and blue sky had chosen the morning, Mum was already in heaven. That afternoon, three generations gathered around spaghetti and salad and pictures from my mother’s albums. Remembering and wondering and making ten thousand phone calls filled in the spaces of that whole day, but this is a homeschooling family, so the following sunrise was succeeded quickly by breakfast as usual — and trigonometry. My graduating senior will tell you that trig has a language all its own, but what I see in these days of comings and goings is a charming branch of mathematics that assures me that there is a relationship among all the parts. If I know the measure of an angle and the length of a couple of sides, I can figure out the whole triangle. This is oddly comforting on the morning after an abrupt departure that followed a mere three hours in the emergency room — a flight that somehow connects the vast horizon of heaven to the granite outcroppings and furrowed garden soil that comprise my everyday world. Poet Luci Shaw compares the death of a parent to standing on the top rung of a ladder. Suddenly there you are, at the top, hands grasping at nothing, “no one above you to compass the wideness of space.” Mum had long ago ceded the role of family matriarch to me, her older daughter, but even so, the generational ladder is filling up behind me and every milestone feels momentous. For example, this year marks a perpendicular line that perfectly bisects the span of my days. At the age of 27, I married an unreasonably patient man, and this month marks our 27th anniversary. Finally, I have been married for as many years as I was single, my life folding over onto itself with a neat center crease like a greeting card — or a church bulletin. This intersection of halves has set me to wondering: would the single me even recognize her married counterpart, all settled into gardening and homeschooling, and happy to spend any amount of time alone with a book and a pen? At the same time, my married self looks back with astonishment at all the energy and emotion that was spent like water in those early decades. Surely there’s some way to capture and recycle it? Of course, all this comparing and contrasting of the two halves is one more evidence that I “see in a mirror dimly.” So, as I grab my cuff and vigorously wipe away as much of the fog as I can, the clearing surface reveals an aging faith along with this aging face. The girl who loved theology — but was pretty sure she wasn’t smart enough to declare it as a major — would be astonished at all the reading and re-reading of sacred words, the taking of notes and the building of outlines that goes on in this graying head. Paul writes about this kind of growth in a letter to the Ephesians that emphasizes wholeness and a maturing process that is endless, for today it is incomprehensible that I could be “like Christ in everything . . . so that we will grow up healthy in God, robust in love.” (MSG) Meeting myself in the middle and saying goodbye to my mother allows all that is past to strike a sympathetic chord with the future. I’m encouraged to move forward, mindful of my weaknesses and stubborn sin tendencies — but not defined by them. Madeleine L’Engle once said in her later years, “I am still every age that I have been.” She may have worked that out through her career as an author, but with my mother’s departure, I’m seeing it happen in real life. Already the past ten years of cantankerous demands and stubbornness are being swallowed up in memories of better days when she laughed at her own jokes and answered the phone with a high pitched “hallooo” (that my sister and I always made fun of). Her older grandsons remember stale Oreos and boxed macaroni and cheese served with joy while they watched Teletubbies on her t.v. 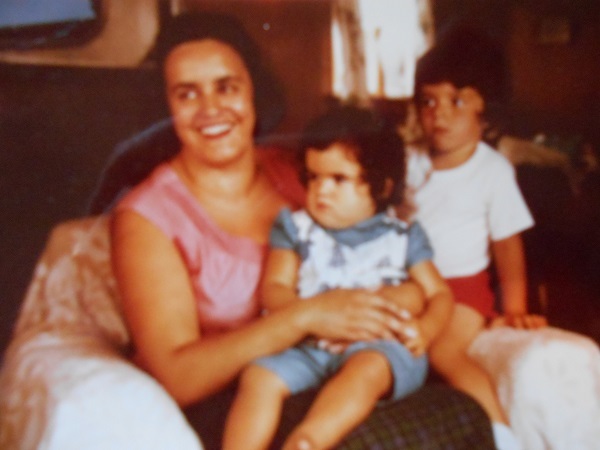 Mum, my curly haired baby sister, and me — probably in 1965. Wood stoves do not render their comforting warmth without regular tending. Fires must be coaxed along with frequent ministrations, and I never give this much thought — unless my good husband is away, for he miraculously tends to this important detail, and our house stays cozy and warm. Similarly, since the beginning of our marriage, he has changed the oil in our vehicles, paid our bills, balanced the checkbook, and locked the doors every night, leaving me with the delightful sense of being safe, cared for: cherished. Cherishing means learning to hold someone dear. When we allow our spouse to define “beauty” (or “handsome-ness”) in our minds, we have begun to rewind history to Eden when each was the “only one” in the world to the other. Choosing anew every day the one you chose on your wedding day is the antidote to disappointment, discontentment, and critical comparing. Cherishing means learning to showcase your spouse. For the believer, this includes enhancing one another’s ministry opportunities. We want our beloved to shine! It is based upon the assumption that we have ended the love affair with ourselves. Gary uses the vivid example of a male ballet dancer rejoicing in the standing ovation a ballerina receives because he has “supported, tossed, caught, turned, and showcased” her. It’s all about helping your spouse to realize his/her potential in the world. Cherishing means noticing and honoring each other. Here’s the truth in a nutshell: “You can honor someone without cherishing them, but you can’t cherish someone without honoring them.” Wives will feel noticed if their words are taken seriously; husbands are looking for physical affection. For either gender, we honor our spouses when we take an active interest in what interests them. Cherishing is about protecting each other and killing contempt. Gary traces the tragic journey from newlywed infatuation through disappointment, frustration, and bitterness to contempt, which is the single biggest threat to a marriage’s survival and happiness. Practicing fierce gratitude is the antidote to contempt. Cherishing teaches us to indulge our spouses and, thus, to help heal their spiritual wounds. When we nurture our spouse, we provide a picture of God’s cherishing heart. We make our spouse’s needs a priority and work to discover what actions we can take to help them address their weaknesses and to breathe life into them every day. Cherishing teaches us to carefully and deliberately use our ears and our words to express our affection. Even unintentional verbal slights can be devastating to a marriage. Cherishing is about treating our spouse as a unique individual. It’s time to cast aside generalizations and stereotypical assumptions about what “all men” or “all women” do. Understanding bypasses judgment and empathizes while genuinely investing the effort to understand and to accept. Cherishing means being patient with your spouse’s sins. As he did in Sacred Marriage, Gary Thomas has melded practical theology and behavioral principles to encourage believers along in a life that goes beyond the mere fulfillment of marriage vows. Just as my wood stove responds to regular tending by yielding comfort and warmth to my home, a cherishing mindset that is deeply rooted in the Gospel truth that we are continually cherished by God will result in a marriage that radiates a lifetime of warmth and love. Gary Thomas has written a blog post that applies the principles set forth in Cherish. Click here to read and learn more! My (perhaps quite unreasonable) argument is that on that day when His feet lifted off the Mount of Olives, Jesus was dealing in metaphor. As a Teacher (THE Teacher), Jesus knew that His disciples would need to see Him leave – to watch Him actually go somewhere else with their own eyes — in order to get on with things. And so he rose, but isn’t the power of God such that heaven could be anywhere? Just as Narnia-Through-The-Wardrobe was a place completely “other-than” World War II era England with a different cadence of hours and a population of talking beasts, I tend to think of heaven as a place without a possible zip code — and yet still close at hand. When I read and respond to powerful words that I read in Scripture, I am careful to filter my motives. Am I rejoicing in this passage because of the unvarnished veracity of those words? Or is my heart soaring because of a particularly effective combination of nouns and adjectives, because of a plangent metaphor that I wish I had thought of myself? While I’m all the time imagining a closed door and cramped quarters, God has envisioned and provided for open access and my feet standing on the place of grace, planted in the fields of His glory! I’ve never before chosen One Word for my year, and truly had no intention of breaking with that tradition in 2017, but standing reached out from those verses and chose me for its own. That word — “standing” — and God’s miraculous gift of hope are calling me to rise from my chair of unbelief, to ascend visibly, not merely for the benefit of others as Jesus might have, but for the broadening of my own view of the world. With my feet planted firmly in those wide open spaces, how can I continue in my small prayer life with its locus around safety and good health? I was rebuked in this tendency recently when my oldest son announced that he was starting a prayer group in his work place – a shop environment populated with hard-handed welders, most of whom make no bones about their disregard for the numinous. Did I launch into immediate prayer for their lost souls? Did I plead for the efficacy of my son’s efforts to irrigate that parched wasteland? Stooped, round-shouldered prayers shrivel my courage, but even worse . . .
What if they are contagious? But time-bound and short of sight, do I really know what’s best? Standing tall, I want to see over the top of my fears. In hope, I want to catch a glimpse (however slight) of what’s on the other side of the walls that divide, and, in that ascending, transcend a few of the artificial boundaries that plague the white, the middle-aged, the orthodox, the comfortable. In The Reason for God, Tim Keller reminds me that at the very heart of my belief system there lived “a man who died for His enemies, praying for their forgiveness,” (p. 21). This was no sparkling success story for Mary to share at Galilean Tupperware parties. Jesus’ death calls me to a rising that may take me lower into a humble, peace-loving place of repentance. His rising invites me to ascend with Him to the people who are outside the gate, unlovely and unlettered, to be carried by the eternally transcendent questions and the answers that I affirm – not merely by the falsehoods that I fight. Rising, we step through God’s open door and find that He is far bigger than we ever imagined. For Martin Luther’s fifty-seventh birthday, his wife designed, commissioned, and then presented to him a carved doorway for their home. It’s elegance incorporated numerous features that demonstrated Katharina’s knowledge of and devotion to her husband; however, there is no way that she could have realized how completely appropriate her gift would be. Michelle DeRusha’s biography demonstrates that the radical marriage of Katharina and Martin Luther was itself a threshold into a new way of understanding marriage, and it opened the way toward a more biblical expression of the life of two-shall-become-one. By the time Martin and Katharina began their unlikely life together, Martin’s theological shot heard ’round the world had already set off the Reformation in Western Europe, and both the bride and the groom had already logged decades of life in cloistered communities. For Martin, this had been by choice and against the wishes of his family, while Katharina had been placed in a convent by her father at the age of six. Leaving the monastery was controversial for Martin, but there was no question that his gifts and background would pave his way into a well-defined role within his new freedom. Things were not so simple for a 16th-century woman. In addition to the fact that single women were not even recognized as citizens in Germany, Katharina was, by birth, a member of the landed-gentry and, therefore, ineligible to pursue employment of any kind. Her only option for survival was marriage — at the ripe old age of twenty six. Desperate times may call for desperate measures, but Katie von Bora showed no signs of of caving to desperation, and she made it abundantly clear that she had no intention of marrying just anyone. At one point she even boldly suggested that she would consider marrying Luther . . . if she were asked. Why she considered a forty-two year old man (who, at any moment, could be found guilty of heresy and burned at the stake) to be a good catch is anyone’s guess. From the groom’s perspective, Luther’s decision to tie the knot with Katharina was as reasoned and deeply theological as his basis for untying the knot with the Catholic church. While he cited pleasing his father and antagonizing the pope as desirable outcomes of marriage, it seems that, primarily, he chose marriage out of love for Christ and a desire to model “the redeemed Christian’s relationship to God.” With such an unusual beginning, it is not surprising that the Luther’s marriage paved new ground. Marriage ousted Martin from his ivory tower. Michelle DeRusha records many of the idealistic or cavalier statements from his single days, and they were clearly made by a curmudgeonly man with no idea how to manage life on this planet. He waxed eloquent (and inaccurate) on topics ranging from the role of women in the home to something he called “bridal love,” but when married life began in earnest, there was no sign at all that he could actually live by his own tenets. From the outset, Katharina dealt with all things practical including the management of and the procurement of supplies for the abandoned monastery the Luthers called home and which functioned more like a bed and breakfast than a family dwelling. Martin trusted Katharina with the delivery of his manuscripts to the printer, and he left most of the business side of his work in her capable hands. Katharina’s escape at age twenty-four from the convent where she had lived since the age of six gives us a clue as to the mettle of this woman for whom,up to this point, every single life decision had been delivered to her as a fait accompli. While marriage to Martin Luther handed Katharina the key to citizenship and an established role in society, it was her own determination by which she walked through the open door of their home and immediately set things in order. The new Mrs. Luther took some getting used to in Martin’s circle of friends and colleagues, and, while she spoke with respect to her husband, she would not be bullied into becoming a shadow in her own home. Her curious and lively mind found its way into participation in the theological discussions that were standard fare around her table — while she prepared and served what must have been huge quantities of food. Martin and Katharina were a parenting team, and the death of their oldest daughter nearly undid them both. Michelle DeRusha shares numerous clarifications about life in early modern times, but the most poignant is the harsh reality that 16th-century parents formed bonds with their children that were every bit as deep as those of 21st-century parents — even though their children died at an alarming rate. It is revealing of attitudes of that day that only eight of Katharina’s letters were saved — none of which were addressed to Martin, but which, sadly, document the hard path of her widowhood as she wrote to friends and acquaintances to “call in favors” or to remind people of their responsibility for her and her children after Martin’s death in 1546. Katharina’s final years must have been haunted by a sinking sensation of deja vu, for the very same traditions and expectations that had made her life as a young single woman so perilous were still in place to make her life as a widow untenable. The era’s idealized model of a meek and silent widow assumes that someone would have already made practical provision for her. Unfortunately, Martin failed to do that, so it was up to Katharina to make her own way, and she did — but it wasn’t easy, and the stress and privation likely led to her demise at the age of fifty-three. It is timely to consider this biography of a marriage in the year that marks the 500th anniversary of the beginning of the Reformation, for the truth from Romans 1:17 that fueled the up-ending of Martin Luther’s theology continues to leave its mark on the way we view marriage within the context of the Gospel to this very day. When Martin and Katharina, “his rib,” walked together through the doorway of marriage, Martin wrote that they had embarked upon “a chancy thing” for “marriage does not always run smoothly.” Five hundred years later, that’s still true. And it is also true that there is grace for this — and that the righteousness which is “of God, by faith” is available in Christ for those who commit their lives (and their marriages) to Him — by grace alone. This is Michelle DeRusha’s third book, and came about as a result of a chapter devoted to Katharina Luther in 50 Women Every Christian Should Know. 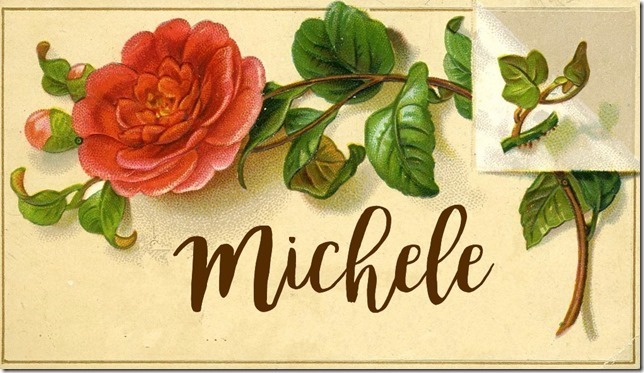 I’ve reviewed the book here, and you can get further information about Michelle’s faith journey and writing life through listening in to this podcast episode of Living a Redeemed Life in which my friend, Holly Barrett, interviews Michelle. the face-to-face rebuilding of a broken marriage — it was for this very thing that Esther Emery unplugged her life from the Internet in November 2009. For one year, she lived a life without email, without a cell phone, and without a debit card. No Google, no on-line shopping, no text messages. She walked away from her blog, an encouraging Facebook community, and any trace of an on-line presence in a leap of Stop-doing-everything-you-know-and-start-doing-everything-you-don’t-know Faith. What Falls from the Sky shares this journey in four parts that correlate with four glorious gifts from the sky: snow, rain, sunshine, and fog. In the season of snow, Esther quit her job and made a cross-country move to Boston with two small children in support of her husband’s career. This obvious high-intensity-tumult actually pales in comparison with the angst of her Internet withdrawal. Against the backdrop of a snowy New England winter, she began to stop looking for her significance in terms of her electronic self. This unplugging left Esther with plenty of space for wrestling with her ambivalence toward her non-traditional up-bringing and for discovering that “the alternative to screen time is table time.” She cut her ties with the bulimic teenager she used to be and turned her eyes away from the theater she loved; and then tied on a striped apron and began trying to decipher her husband’s recipes for cranberry muffins and lentil soup. Like a snow globe turned upside down, her values swirled, but then re-settled into new patterns in which compassion trumps achievement and humility suddenly has equal footing with leadership. It was from this humility that Esther traced her spiritual re-awakening. Words from the Bible fell like rain on parched ground as she gulped down the Revelation first and then watched spring come through the lenses of Genesis and Thoreau. A celebration of Easter in community introduced her to the beauty of “borrowed” power from the crucified and risen Christ and the truth that this is “not theoretical at all.” The vulnerability of Good Friday left Esther defenseless against the claims of Christ upon her life, and she was captured by the forgiveness that conquers fear, the “Jesus of the brokenhearted, the Jesus of the suffering.” Ironically, as her spiritual life came into focus, the material world also became sharper, and she and her husband, Nick, took on the joint task of digging themselves out of debt and handling their finances as a team. With the structure of a memoir and the tone of an Old Testament prophet, What Falls from the Sky kept me reading and curious simply from the sheer impossibility of the experiment. How does a woman who has “walked away from her faith” and become an “outspoken critic of Christianity” with a significant online presence (and a husband who is an atheist) make a journey away from the internet and toward a following life? How can the experience of “looking up” for an entire year — noticing the sky and the seasonal changes, delighting in the company of her children and the deepening of her own inner life — how can this bring about a transformation that heals the ragged edges of a heart that needs to forgive and to be forgiven? Esther Emery has crafted a travelogue for any heart that longs to recognize itself from the inside out, without the aid of the electronic mirror, and to embark upon a life that has been transformed by the resurrected Jesus Christ.